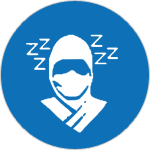 Did you know that over 70 million people in the U.S. have a sleep disorder? Sleep disorders can affect your quality of life and your ability to concentrate. It can affect your abilities at work or school. Relationships can suffer due to being irritable or moody, and you may just feel like you can’t make it through the day because you have no energy. Some sleep disorders can lead to serious health problems such as increased risk for heart attack and stroke. That’s why it’s important to seek help from a trained sleep specialist. Cinco Ranch Sleep Center is located in Katy, Texas and just a few miles outside the Houston area. Our Technicians are highly trained and they’ll do whatever they can to make your stay relaxing and comfortable. Cinco Ranch Sleep Center is equipped with state of the art technology to monitor your sleep behavior and give you the best results possible from your stay with us. Please feel free to contact us with any questions or concerns you may have. We're always glad to assist. 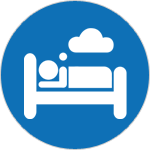 If you're having some sleep related issues then answer the questions on our short sleep questionnaire form and see if you qualify for a sleep study. 2. I am very irritable during the Day? 3. I feel tired or fatigued all day? 4. I am told I snore at night? 5. I have high blood pressure? 6. I sleep restlessly at night and Toss and turn? 7. I've been told I stop breathing At night even though I don't Realize it? CINCO RANCH SLEEP CENTER offers sleep diagnostic testing services for the areas surrounding Houston and Katy, Texas. These services require one or two nights sleep at our center depending on the sleep related issues of the Patient. A sleep diagnostic test is a non-invasive test (meaning no needles or cutting involved). The test itself involves the placement of several different wires to your face and body. We’re testing everything from your bodies oxygen levels to your body movements as you sleep. Most sleep studies last a minimum of 5 hours of continuous testing while you sleep. We do our best to ensure you’re as comfortable as possible so you get a good nights rest while we gather the information needed for your sleep study. ELITE DIAGNOSTICS is an affiliate company of Cinco Ranch Sleep Center and is now offering Nuero Ambulatory EEG Testing. Ambulatory electroencephalogram (EEG) is a neurodiagnostic test that measures and records the electrical activity in your brain. Unlike an EEG, an ambulatory EEG allows an extended recording in a patient's home. The patient is able to move around and is not required to stay in the hospital for the recording. A person with sleep apnea has periods when they briefly stop breathing. Episodes last at least 10 seconds and may occur anywhere from five to 50 times an hour. Sleep apnea is often associated with loud snoring, snorting or even gasping for breath. This disorder involves uncontrollable bouts of excessive sleepiness. Sufferers may fall asleep suddenly when upset, laughing or performing routine tasks such as driving. In addition, they may experience vivid hallucinations during sleep. Up to one third of the U.S. population experiences insomnia or difficulty falling and/ or staying asleep. Symptoms include daytime sleepiness, fatigue, poor concentration, decreased alertness, muscle aches, depression and an over-emotional state. Cinco Ranch Sleep Center uses a variety of tests to identify the cause of nighttime sleeplessness or daytime drowsiness. The majority of sleep studies must be ordered by a physician; if using insurance to cover the expense of the study then this is dependent on each individual plan. Typically, your primary care physician will order the test he or she feels is necessary. Prior to your appointment, you will be asked to complete a questionnaire about your problems sleeping as well as your medical history. If possible, your spouse, or someone who is familiar with your sleeping patterns, should assist you in filling out the questionnaire. Go to our short sleep questionnaire form to see if you qualify for a sleep study. Avoid caffeine products such as coffee, tea, soda and chocolate after 10 a.m.
Do not take any daytime naps. Bring your night clothes or something comfortable to sleep in. Bring items you will need in the evening and morning such as a toothbrush and other toiletries, contact lens cases and solutions, and clothes. MOST INSURANCES ACCEPTED. PLEASE CONTACT US WITH YOUR INSURANCE INFORMATION SO WE CAN VERIFY THE COVERAGE FOR YOU. YOU CAN ALSO USE OUR CONTACT FORM TO INCLUDE THIS INFORMATION SO WE CAN VERIFY. 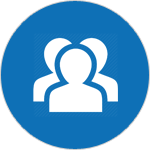 WE NEED PATIENT FULL NAME, INSURANCE NAME, MEMBER ID, AND DATE OF BIRTH FOR VERIFICATION. WE DO NOT ACCEPT MEDICARE AND MEDICAID AT THIS TIME. 440 Cobia Dr. Suite 1002 Katy, Texas 77494 Cinco Ranch Sleep Center is located off Kingsland Blvd. and Highway 99 in Katy, Texas.